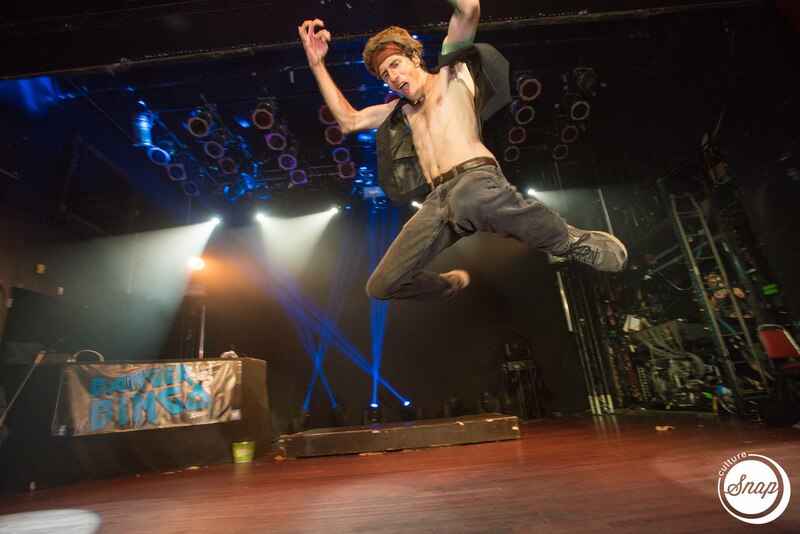 Have you bought your tickets yet to the Championships on July 25th at the Mod Club? 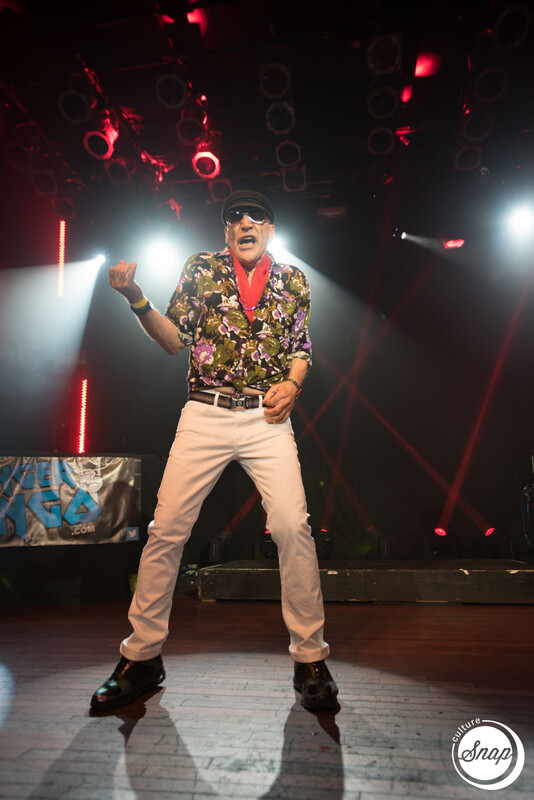 Air Guitar is about world peace: The mantra – When you are holding an Air Guitar, you can’t be holding a gun. 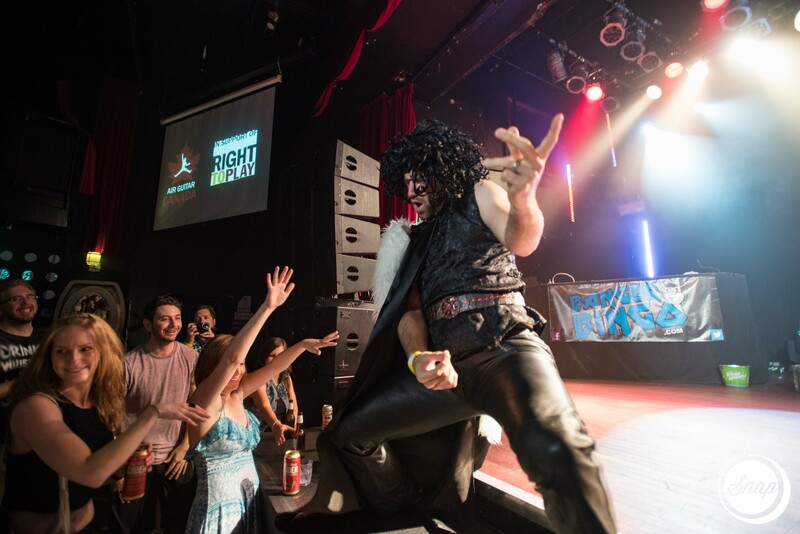 We donate the net proceeds of our Canadian Air Guitar events to a children’s charity called Right to Play. They help children all over the world (1 million kids each week!) through sport and play programmes that are geared towards alleviating the horrors of war, disease, poverty and famine. They help children rediscover their youth, to gain confidence, to solve problems all through the power of sport and play. 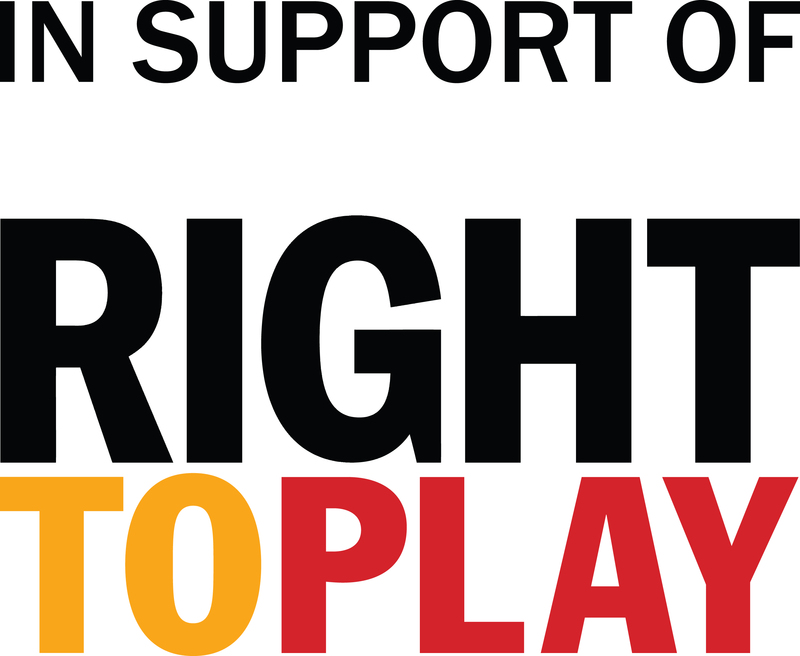 We raised $2500 last year for Right to Play. Our goal is to double that this year for a total donation of $5000. Our competitors are our life blood. Without their bravery and freakin’ entertaining performances, we don’t have much. They bring out their friends who buy tickets, who drink beer. 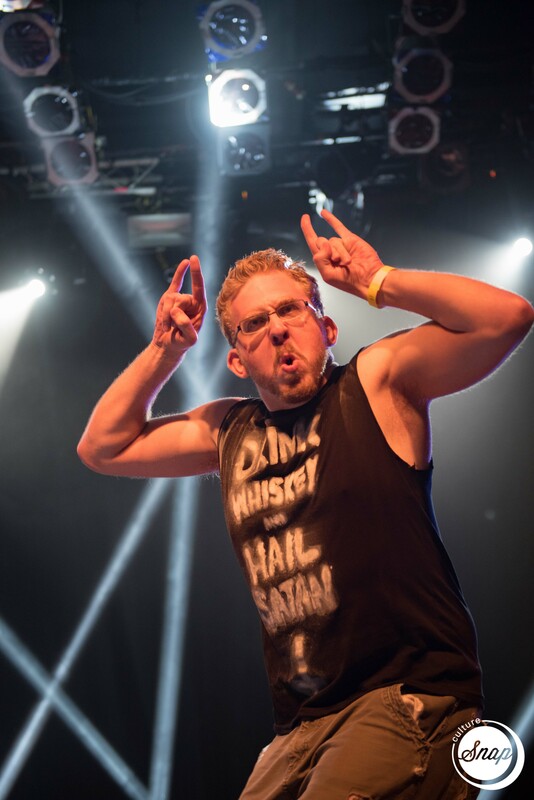 We thank these friends who cheer for their favourite performers to encourage and lift them up as these Air Guitarists do what very few do, but all of us should do (at least once a year): Rock out for World Peace. 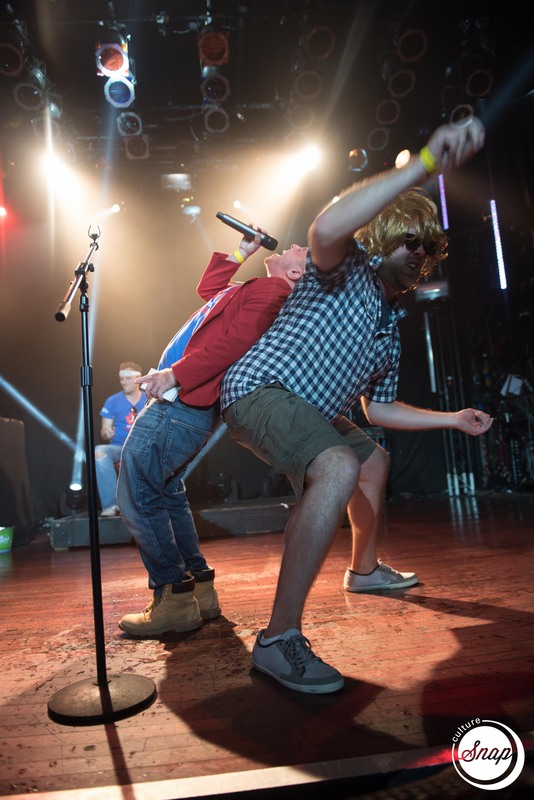 GRAND PRIZE: 2015 Canadian Air Guitar Champ! 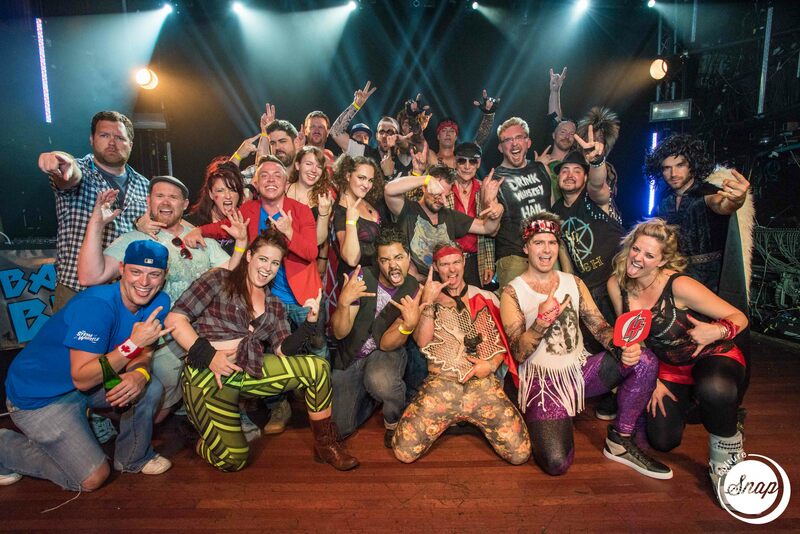 Free trip to Oulu Finland as Canada’s representative. Hotel stay in Oulu for 2 nights. 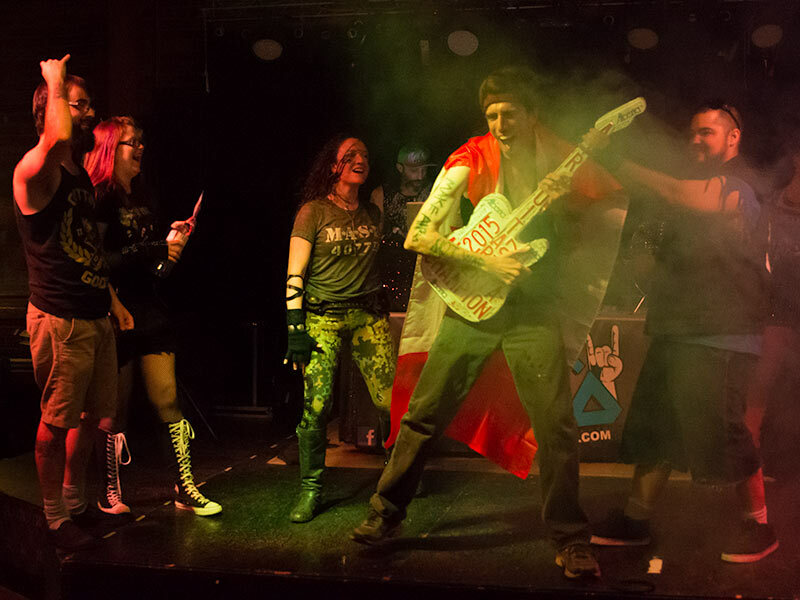 Air Guitar Canada Trophy. Unlimited bragging rights and a certain degree of infamy (It’s ‘Priceless’… really). 4th PLACE: $200 in Eatertainment Gift Certificates – good for these amazing Toronto Restaurants: The One Eighty, The Bloor Street Dinner, or The Bottom Line. BONUS – Other top competitors will receive Second City Gift Packs ($45 each) and Second City Training Centre vouchers. 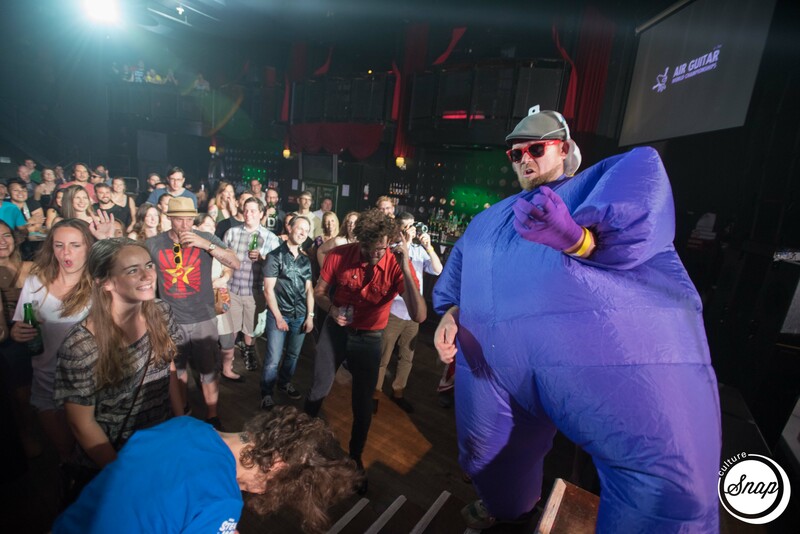 So whatcha waiting for… volunt-‘air’ yourself for a good time. Still 8 Dark Horse Spots remaining – time to ENTER is now. This Year We’ve Got a Special Can-Con Edition For You! 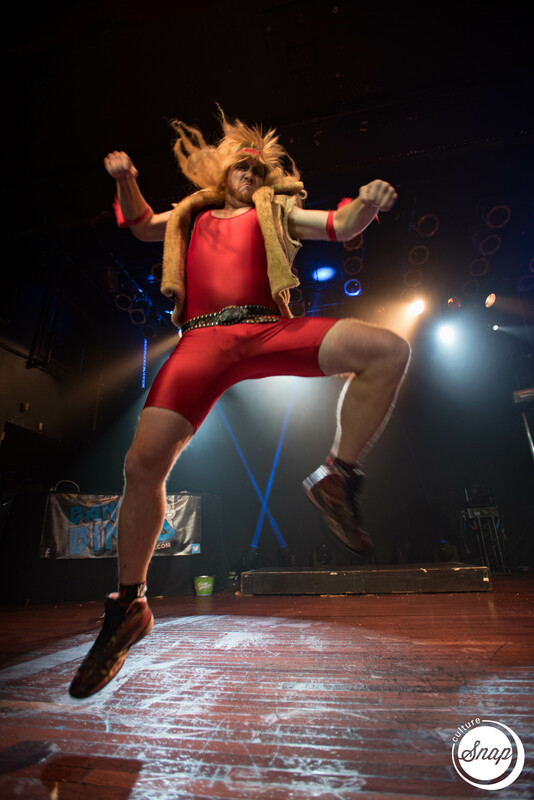 In celebration of the Pan Am Games and all things Canadian such as bacon and Bryan Adams, we’ve created a pretty wild event of Air Guitar with the extra special focus on Canadian content. 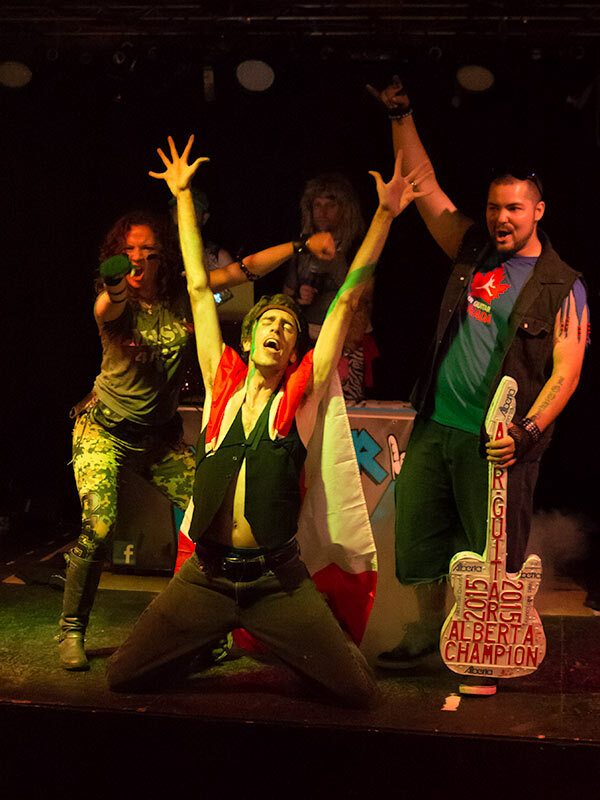 This means that the song for our second round of Air Guitar performances (the improvised round that is chosen by the audience) will come from a list of classic, popular and righteous rocking Canadian musicians and bands. 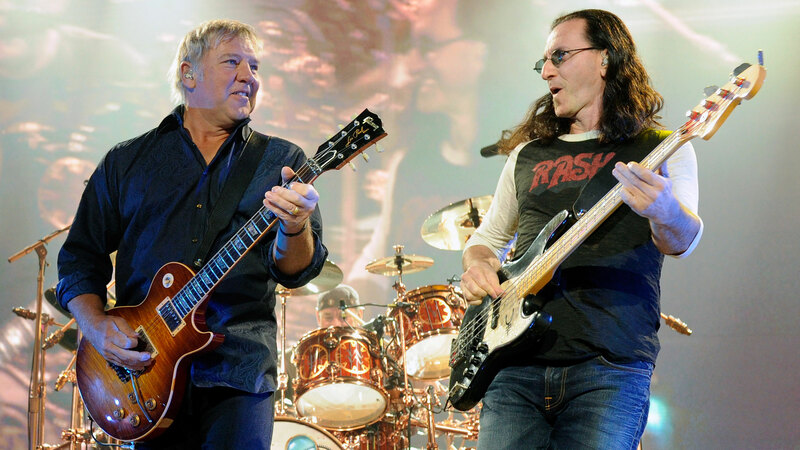 Rush? The Hip? April Wine? 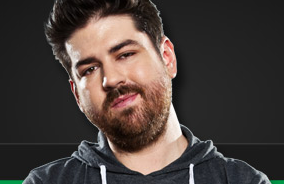 Sam Roberts? 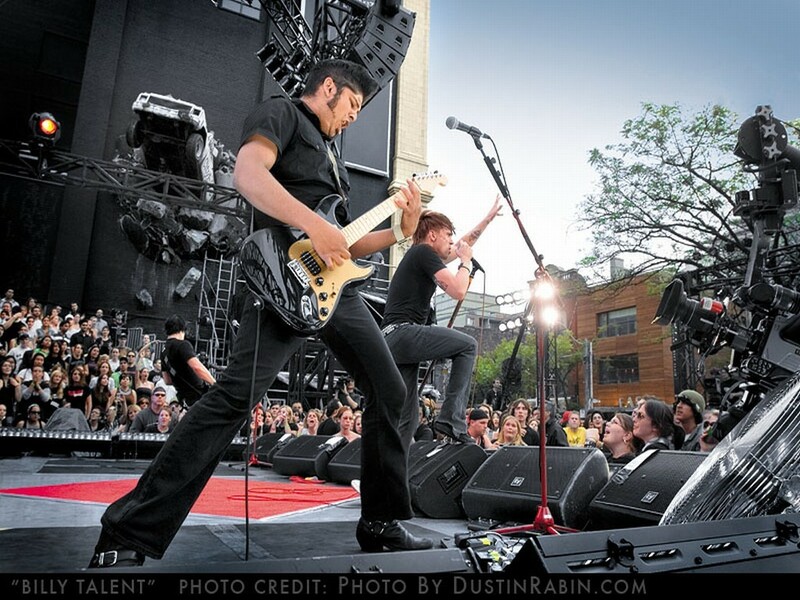 Billy Talent? 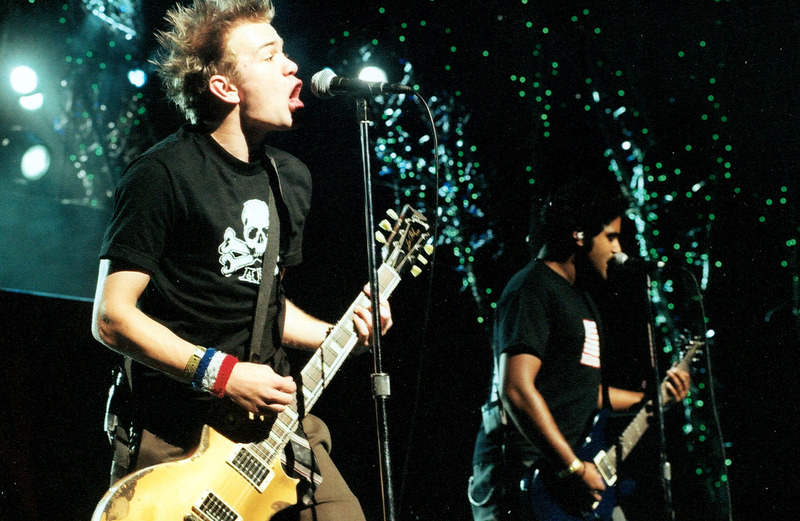 Sum 41? 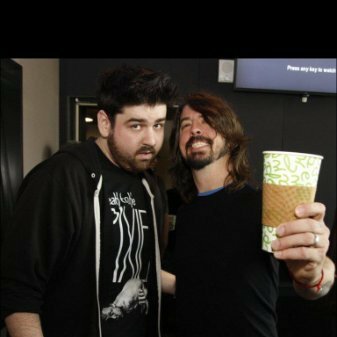 Nickelback?…it’s possible. YOU CHOOSE! 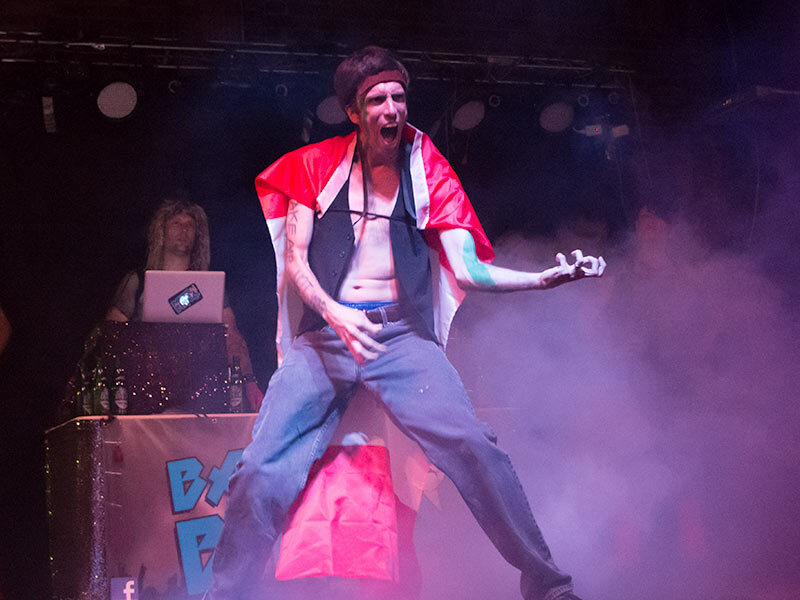 So come celebrate your Canadian Rock and join in on the fun that is Air Guitar! 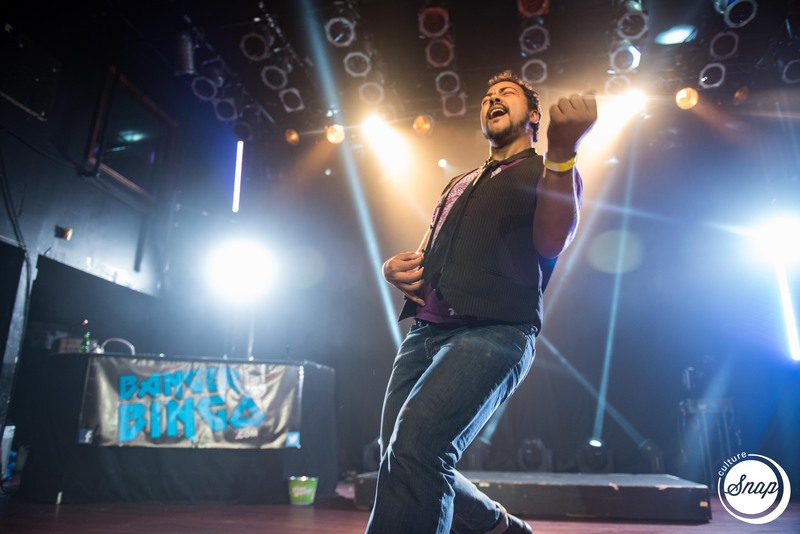 Our winner will represent Canada at the 20th year of Air Guitar World Championships in Oulu, Finland – the home of AIr Guitar. 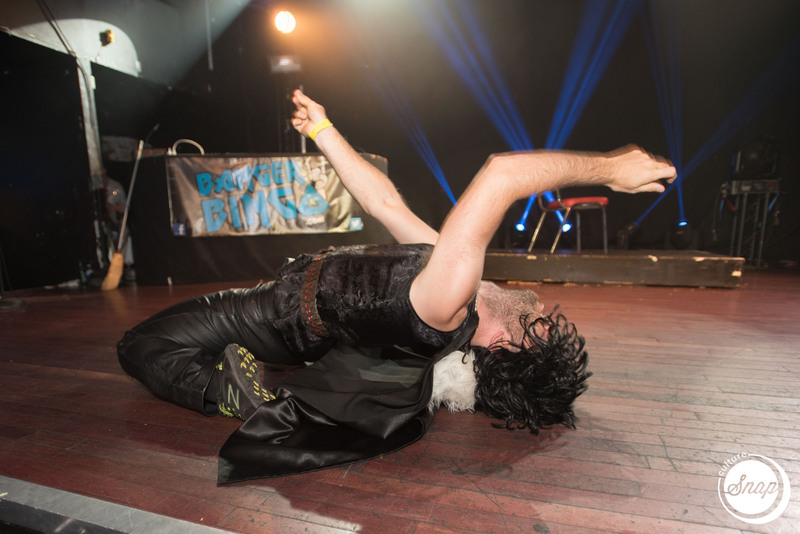 Remember – Air Guitar is all about World Peace. 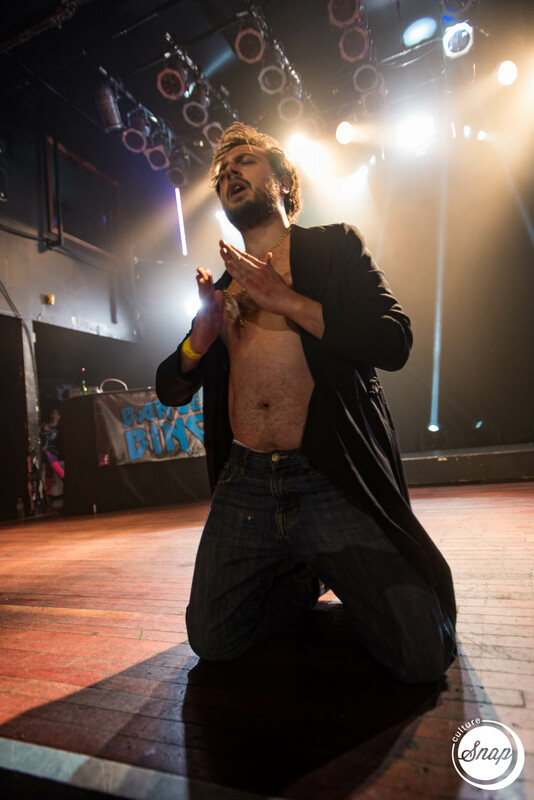 ‘When you are holding an Air Guitar, you can’t be holding a gun’ – Ancient Air Guitar Proverb. 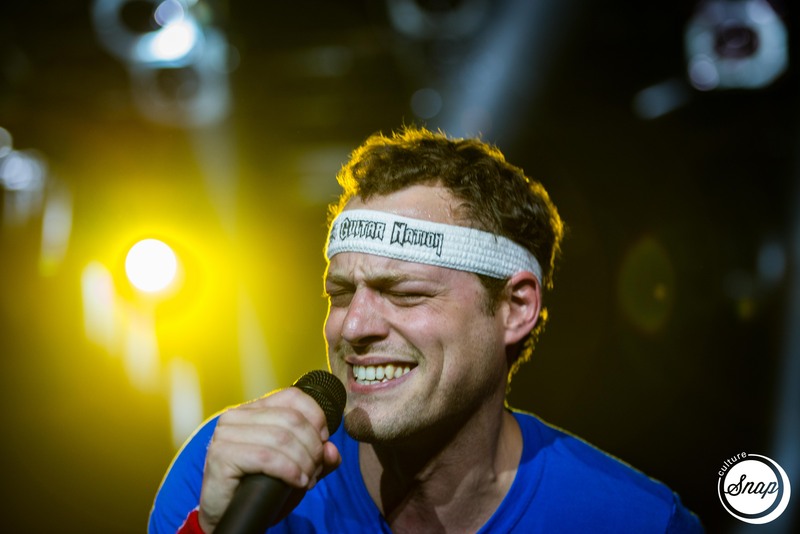 We run our events to send a champ, and raise money for our charity Right to Play Canada – Helping children facing adversity world-wide through the power of sport and play. 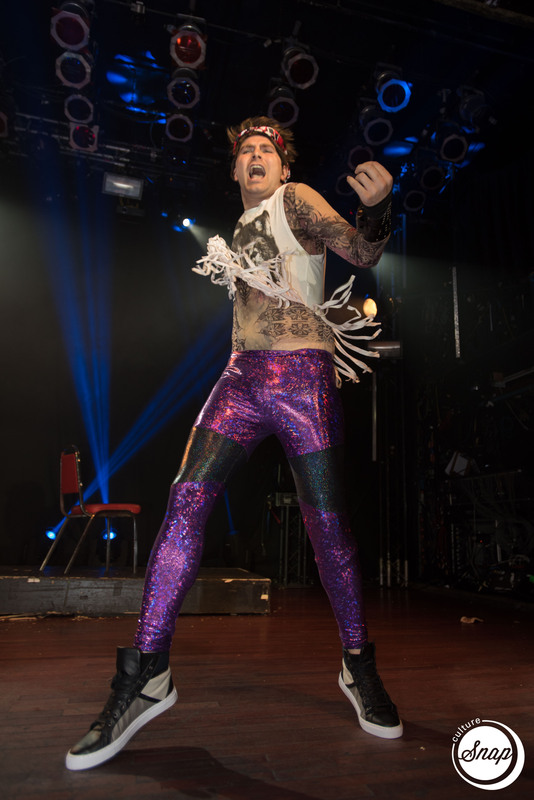 And in this situation… Air Guitar. 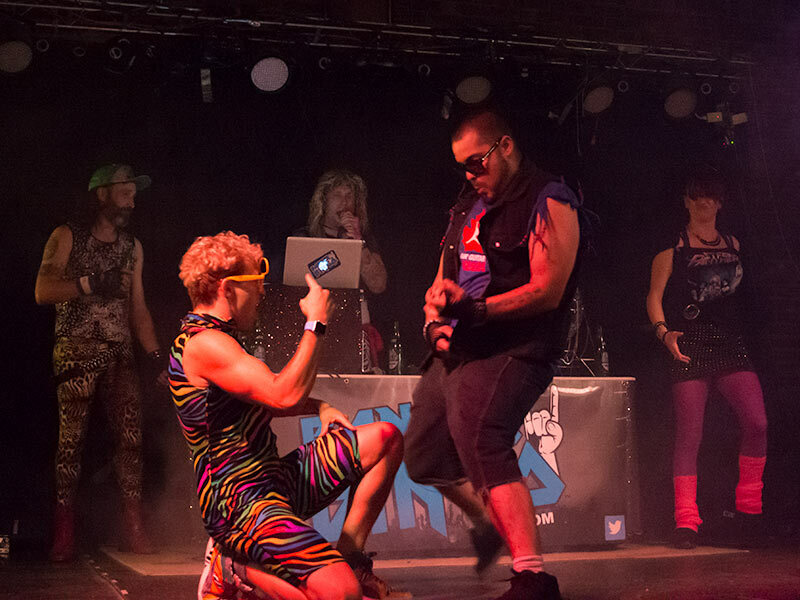 For the first time ever an official Alberta Air Guitar champion has been crowned. 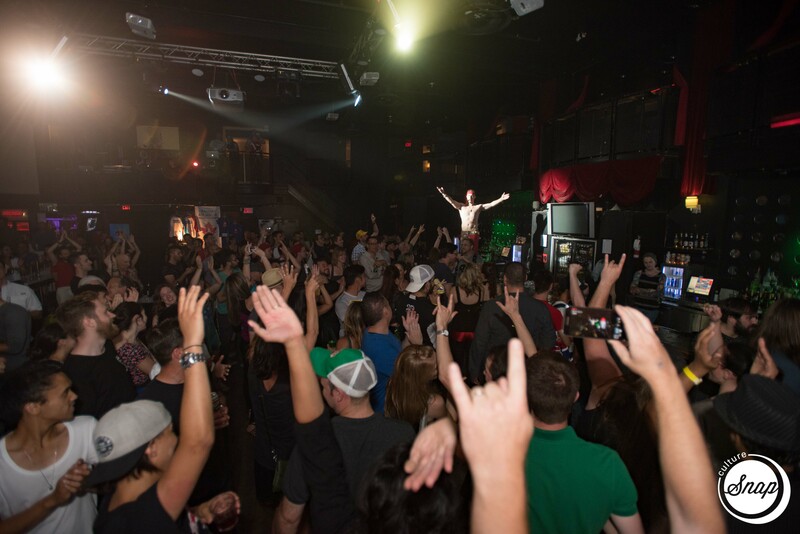 What started out to be a crazy mix up with 2 events being booked for the same night ended up having awesome results when the crowed size doubled, and instead of one awesome band closing the night, we had 3! 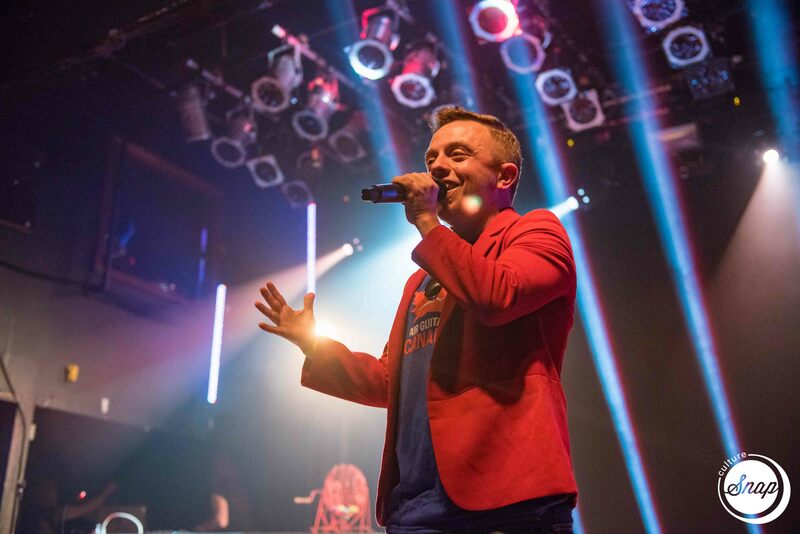 Most people showed up to Lord Nelson’s Pub to catch a CD release party from a local band and they got so much more. 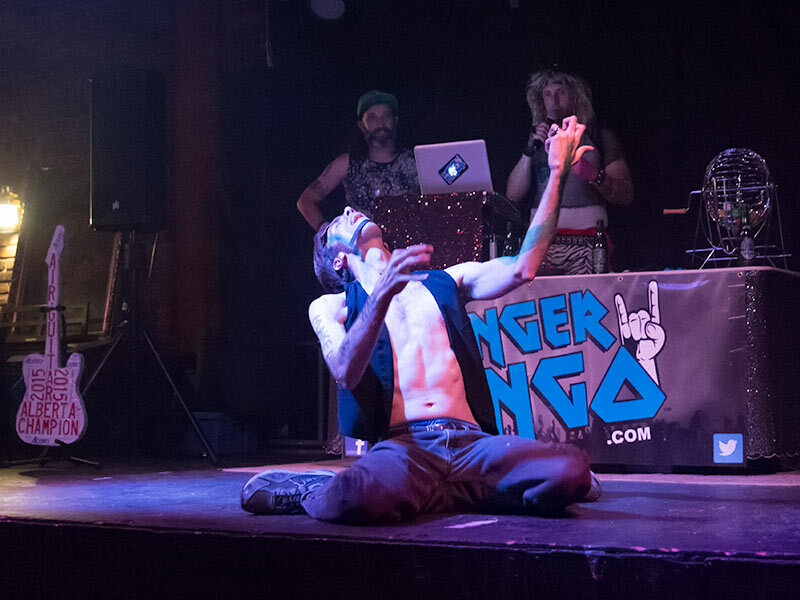 Confused excitement could be used to describe the crowd as Banger Bingo took the stage to open up for the Air Guitar shred-fest that was to follow. 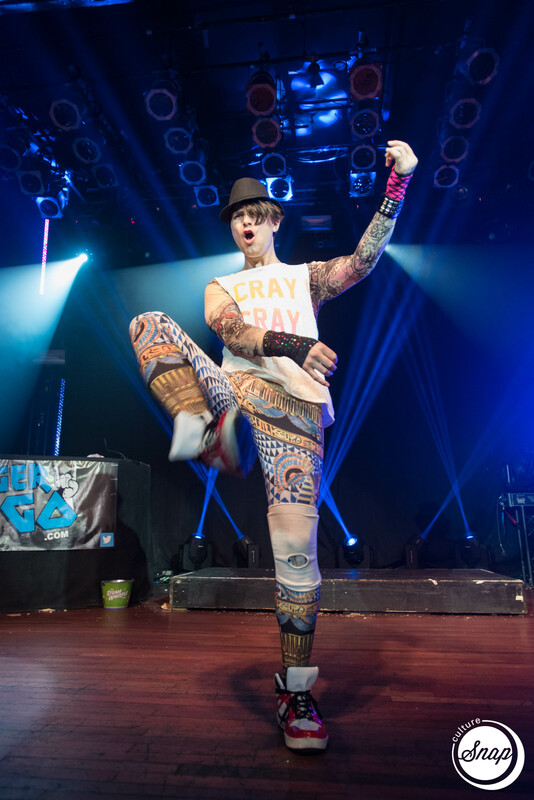 The main event opened with judge and professional street dancer Spandy Andy accepting a challenge from former Alberta Champion Cat Friday to an Air Guitar /dance off. They strummed, thrusted and wailed their way into the hearts and minds of the crowd. 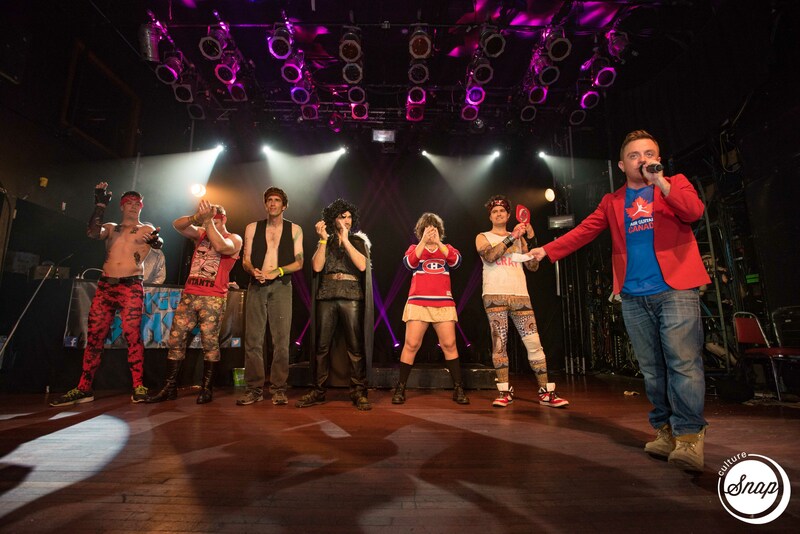 In an epic battle like this – it was fair to say that everyone wins! 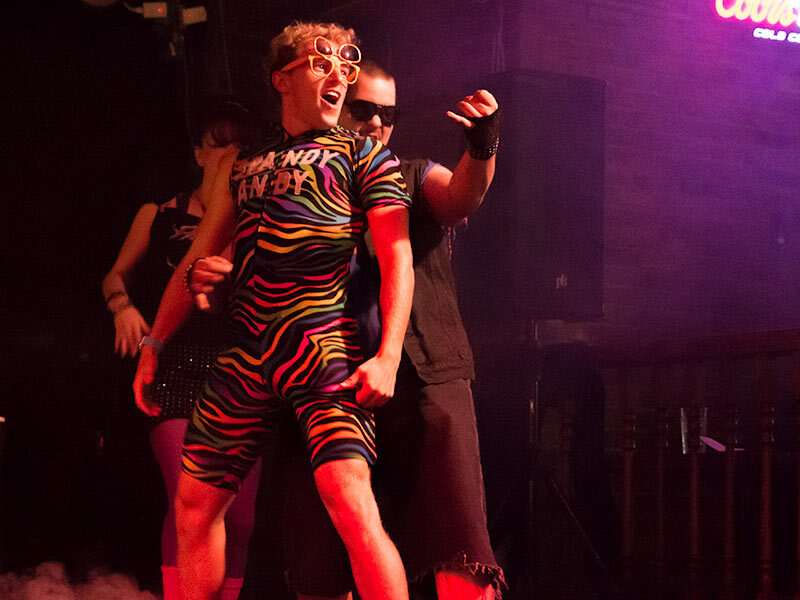 And then came the Air Guitar competitors. 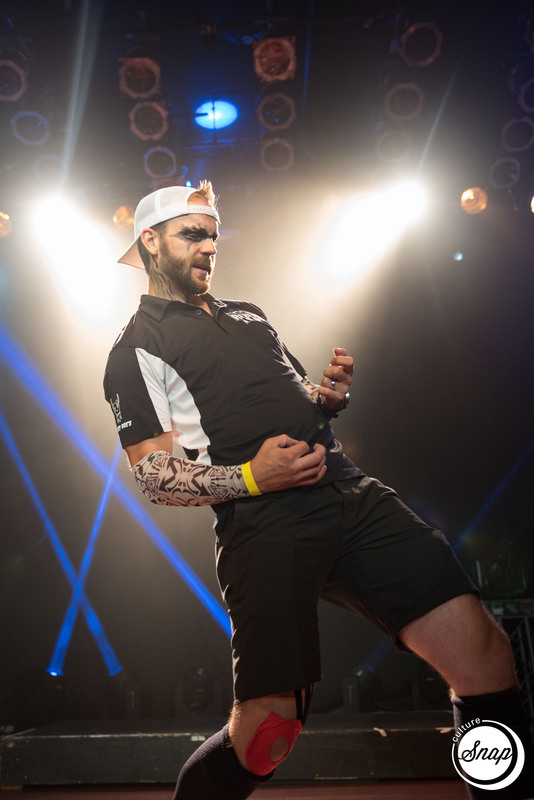 The licks were tight, the competition was fierce, and when the dust settled one man stood alone as champion… That man is none other than Michael “Von Poutine” Daniels. 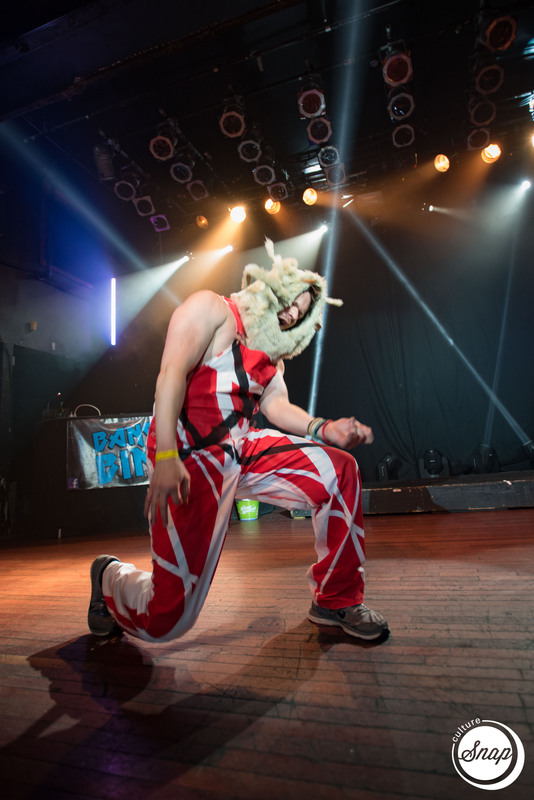 Von Poutine will now travel to the land of Canadian Air Guitar, Toronto, to face of against the best of the best this great country has to offer. 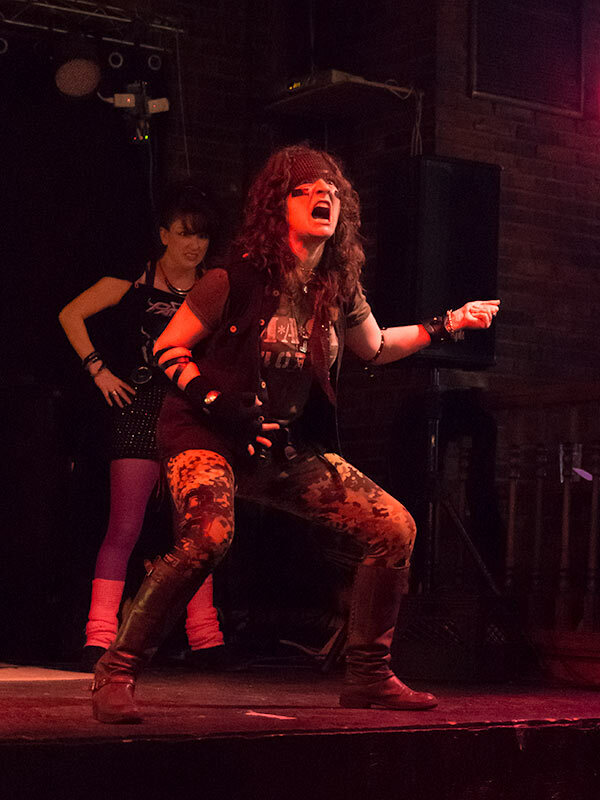 Here’s a recap of the competitors – First up was Liz “Rock-asaurus Rex” who rocked out to Halestorm’s Daughter of Darkness. 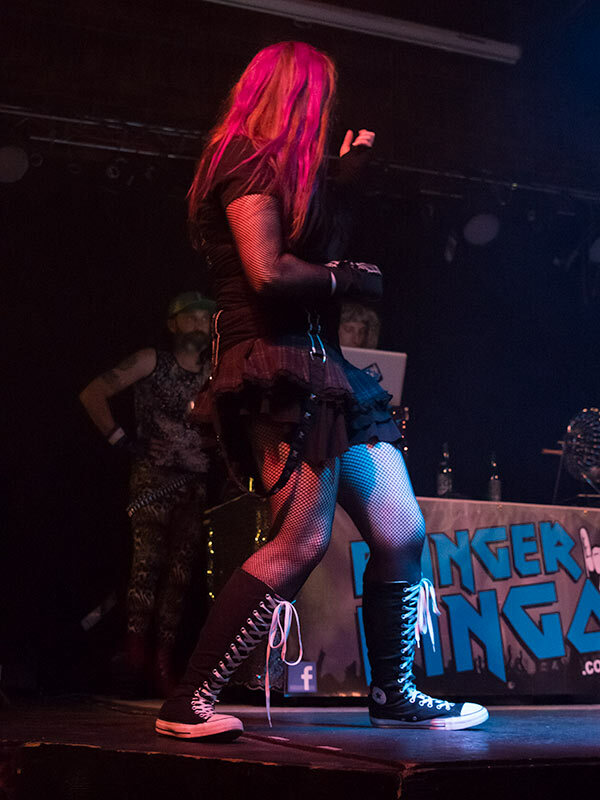 Like the song says “a little evil goes a long, long way”, and she proves it! 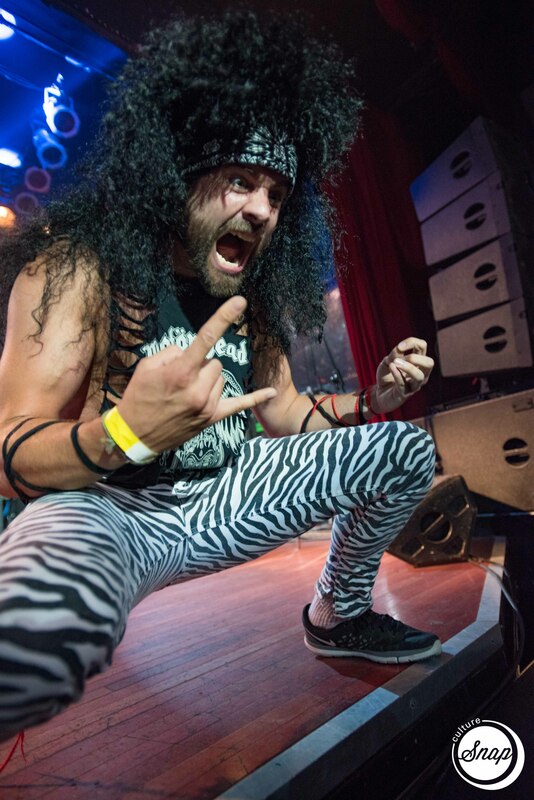 Next up was Joel “Hand Solo” Zak who ripped the Scorpions classic metal anthem No One Like You. Fitting, cause there is literally no one like Hand Solo. Joel was all over the place showing the judges some of his signature Zak Attack style. The Force is strong in this one! Then, Out of no where, comes Amanda Marie Bourdon. Or as we now know her …..THE CAMANDANATOR!!! She blasted her way through Van Halen’s “You Really Got Me”. 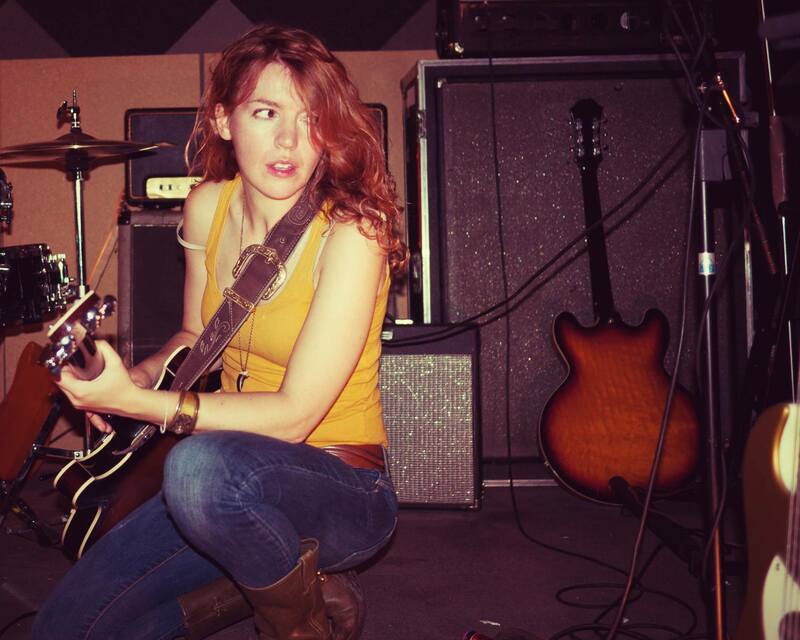 If you hooked Amanda up to a set of cables she could power a small hamlet with the energy she gives of during an Air Guitar performance. She even pulled of the rarely seen running man power move! Her super charged rock display was awesome enough to net her a second place finish! Last on stage the newly Canadian-ized Michael “Von Poutine” Daniels, who actually prepared for his championship performance by indulging in the bars signature Poutine Deluxe, which I’m assuming is to him what spinach is to pop-eye or sadness is to Batman, because when Von Poutine hit the stage level 3 transcendence was achieved! 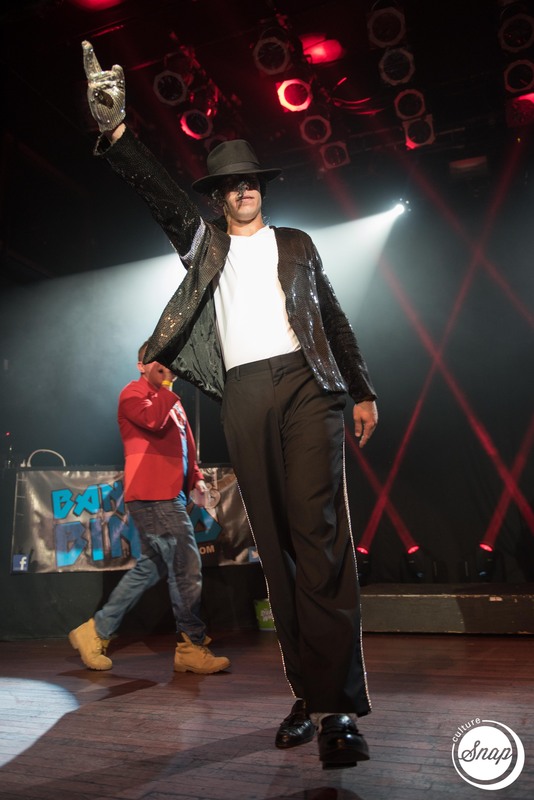 Michael left no doubt in the minds of the judges and audience that history was being made as he took the metal cover of Journey’s “Don’t stop believing” and made it his own. 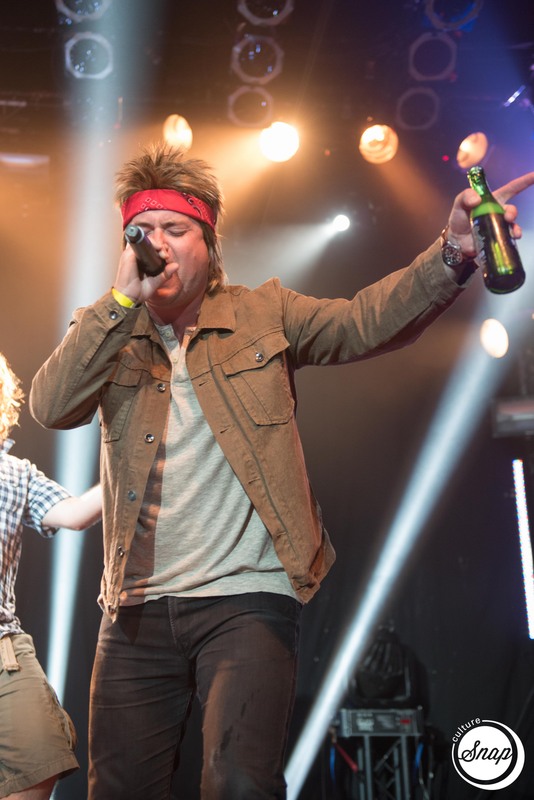 In the compulsory round all of the competitors rocked out to the same mystery song which was revealed to be Iron Maiden “Run to the Hills”. 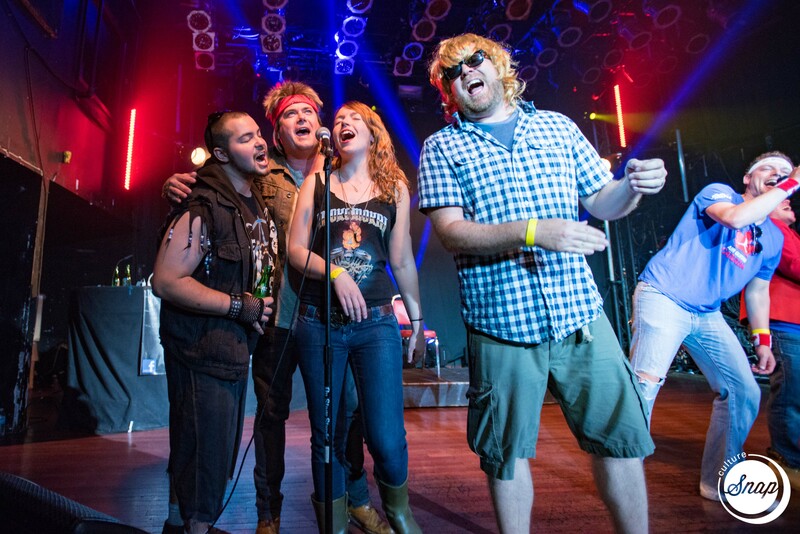 One by one each of the Air Guitar heros left it all on the stage. And despite a near come from behind last ditch effort from the Camandanator it was just shy. Von Poutine sealed the deal exploding out of his dark cloak revealing a Canadian flag cape. 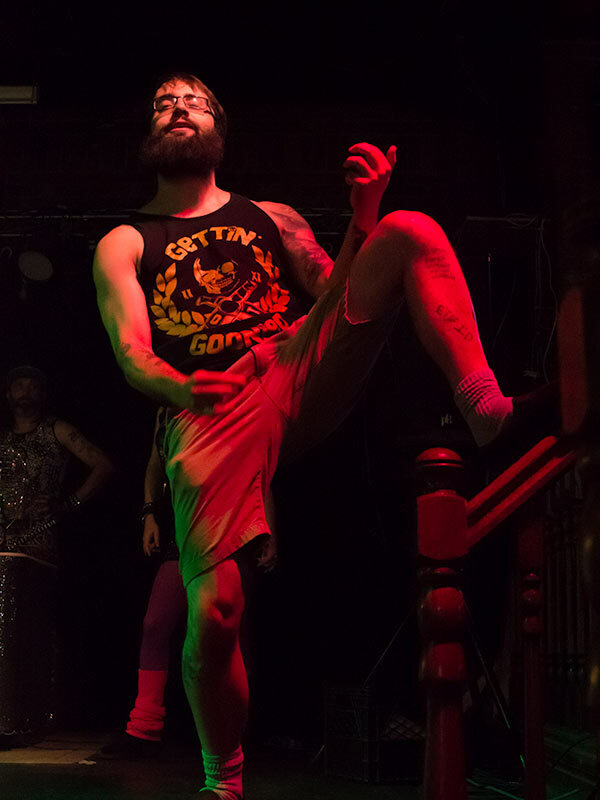 His awkward movements and high flying Air Guitar attacks were ultimately enough to clinch him the victory, the trophy, and the title of Alberta Air Guitar Champion. He now flies to Toronto to face off against the best in the country. 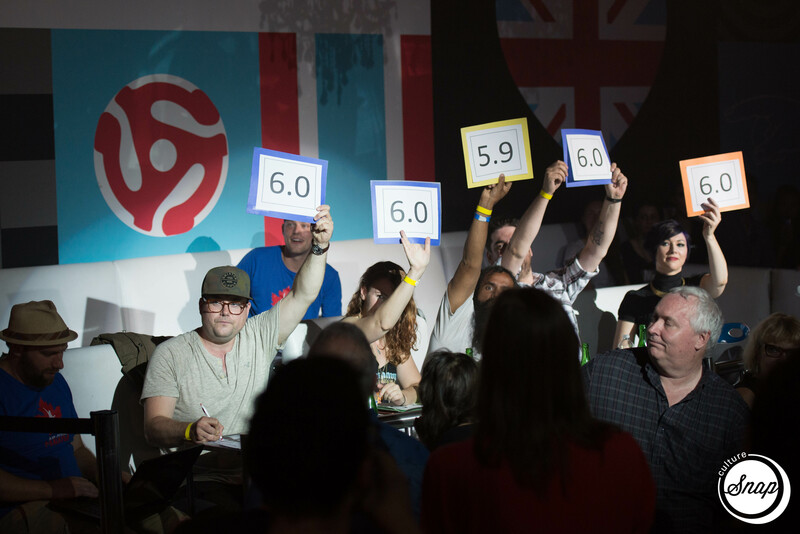 Huge thanks to our main sponsors Steam Whistle Pilsner, Banger Bingo, our Judges: Peter Michael’s, Scoot Laird, and Spandy Andy and everyone else involved in this crazy night!! 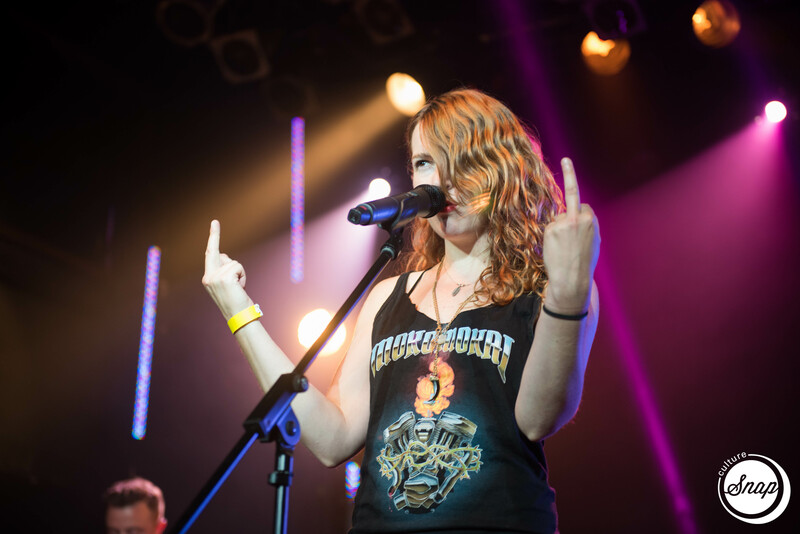 See you next at the Nationals on July 25th in Toronto at the MOD CLUB! The time has come. 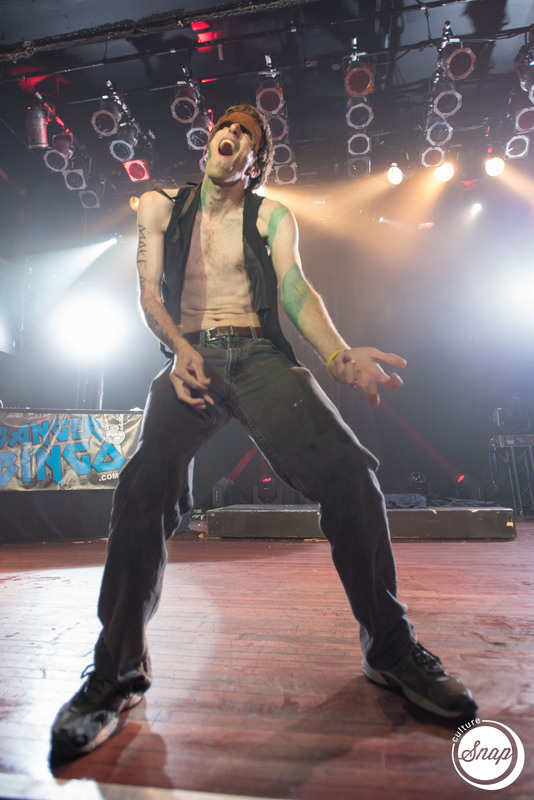 Alberta is set to have it’s first official Provincial Air Guitar Championships. 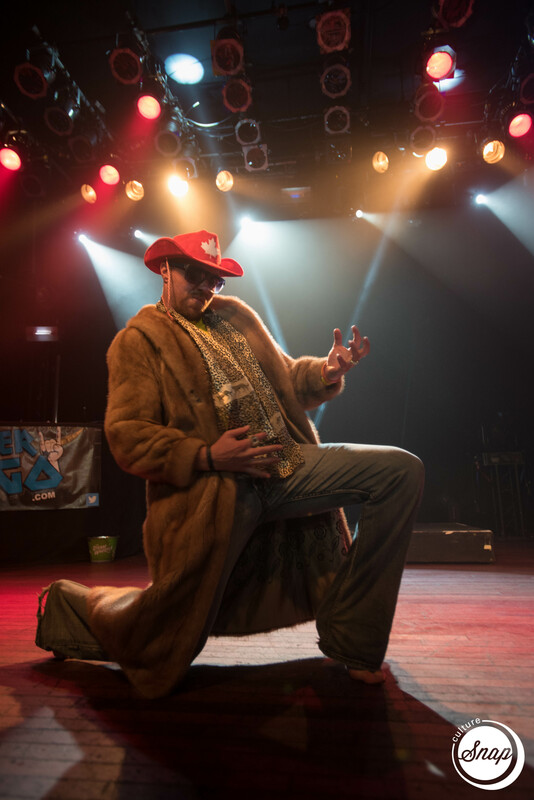 Tyler ‘Cat Friday’ Gardner (2014 Alberta Champ) and Marcus ‘Shaner the Shane Saw’ Iannattone (Banger Bingo) have got a show ready for the people of Calgary. Doors open at 7pm so you can get your food and your drink on. 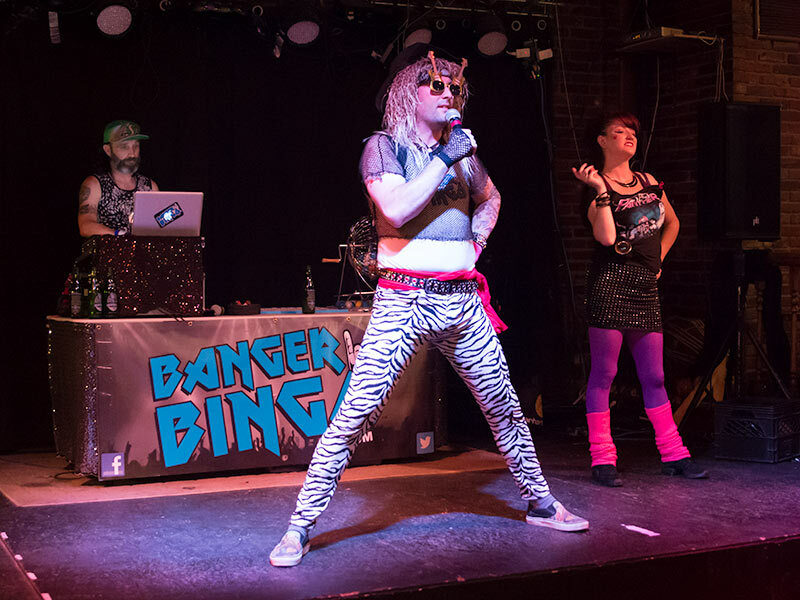 Banger Bingo will run a warm-up round of Rock and Roll Bingo while the Air Guitarists (including Edmonton Champ -Michael Von Poutine) assemble and limber up for the big show. Oh- and you can still register to compete until 12midnight July 10th. 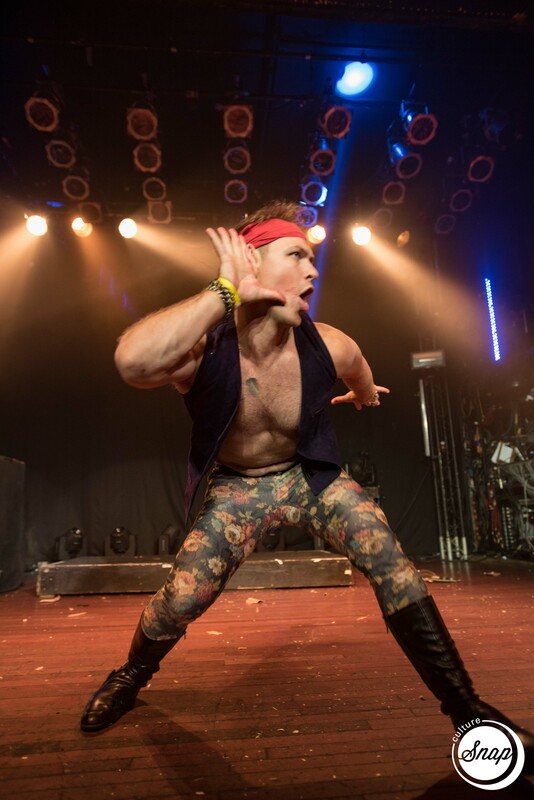 Or Just show up in Calgary at Lord Nelson’s with your 1-min of music – your choice. 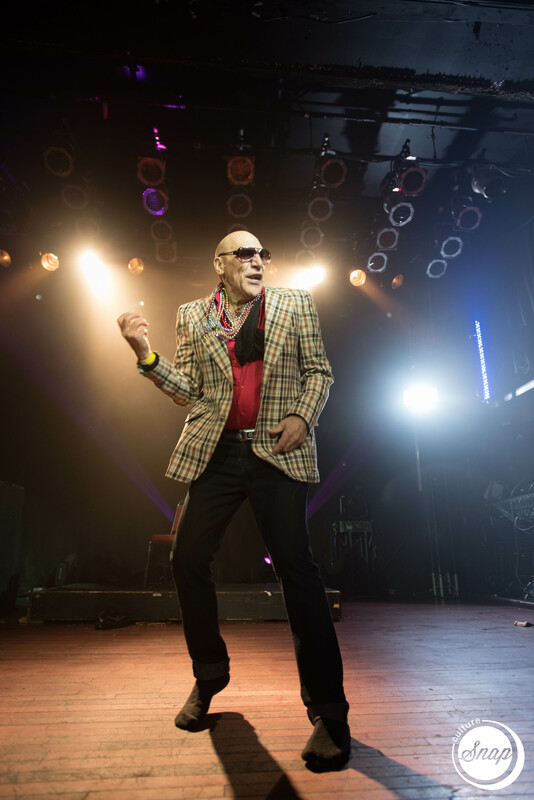 Peter Michaels: He has been described as “average” as well as “drab & business like”. He rocks the Dad Bod & sometimes falls asleep in the middle of a conversation. You know you’re scraping the bottom of the barrel when he’s your idea of having a “celebrity” at your event. It can’t really be that bad…can it?! Find out the answer to that soon! 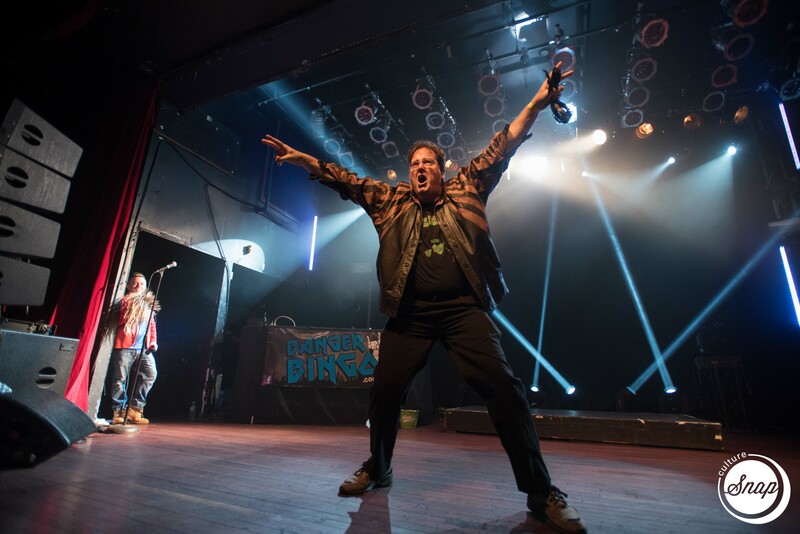 He is Peter Michaels, program director & midday host at 106.7 THE DRIVE in Red Deer Alberta! And this bio was written by his mom! Scoot Laird: No, that’s not typo, his name really is SCOOT. Don’t be fooled by everything he says or does, Scoot Laird is a really happy guy. 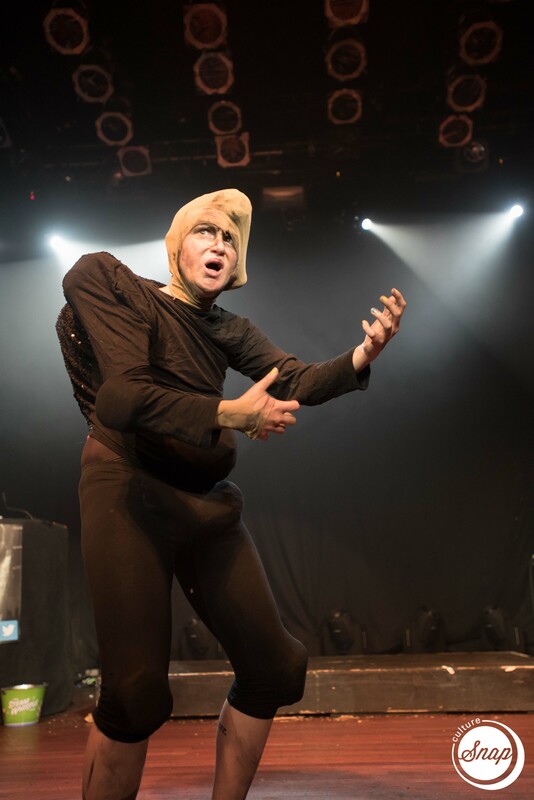 Scoot’s witty and relatable comedy has been a delight for audiences wherever he goes; whether it be performing sketch comedy at the prestigious Toronto SketchFest, showcasing his standup for the Winnipeg Comedy Festival or any of the numerous comedy clubs and bars all across the vast Canadian landscape where he hones his craft. 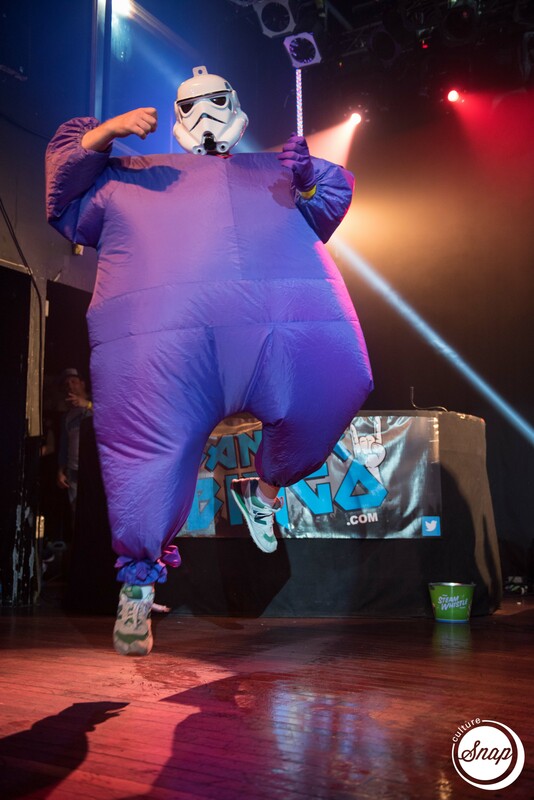 Recently, Scoot won the coveted Chase Your Butterfly contest, for Calgary’s best new comedian. 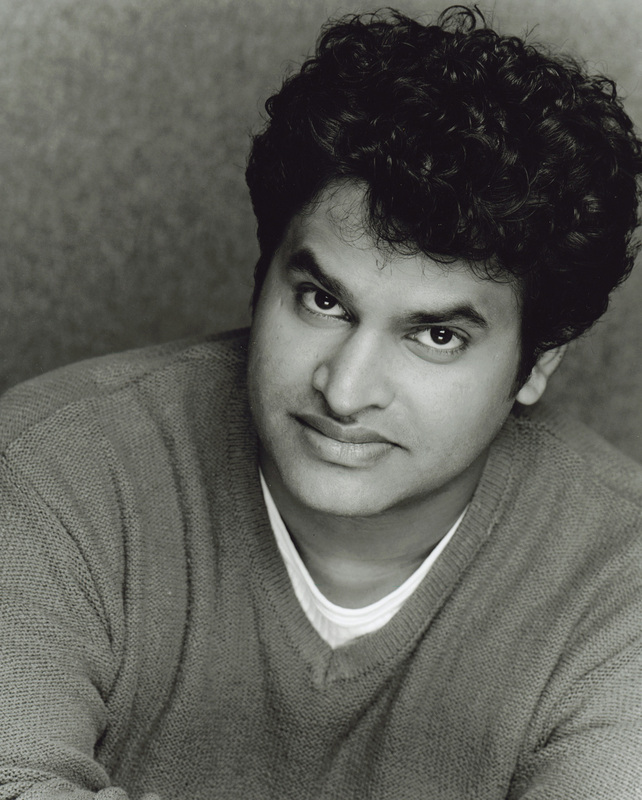 If you don’t remember him by his name, you’ll certainly remember him by his performance.